This entry was posted in New Zealand New zealand Immigration and tagged Live in New Zealand New Zealand Immigration Settle in New Zealand on June 18, 2016 by Blog Author. This entry was posted in Immigration New zealand Immigration and tagged New Zealand Immigration sponsored visa work visas on September 4, 2013 by Blog Author. This entry was posted in New Zealand and tagged New Zealand Immigration New Zealand Visa Consultants Newzealand Corporate Profits Newzealand Economy Newzealand Immigration on July 9, 2013 by Blog Author. This entry was posted in New Zealand and tagged Migrate to Newzealand New Zealand Immigration New Zealand Visa Consultants New Zealand Visa Immigration Services NewZealand Agency on July 9, 2013 by Blog Author. 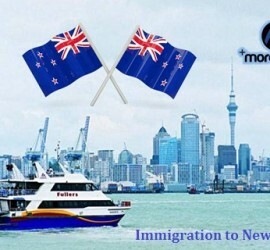 This entry was posted in New Zealand and tagged New Zealand Immigration New Zealand Immigration Consultants New Zealand Visa Consultants New Zealand Visa Immigration Services on July 8, 2013 by Blog Author. This entry was posted in New Zealand and tagged New Zealand Immigration New Zealand Permanent Residency New Zealand Visa Consultants Newzealand Immigration Comnsultants on June 7, 2013 by Blog Author.